I love pumpkin, don’t get me wrong. 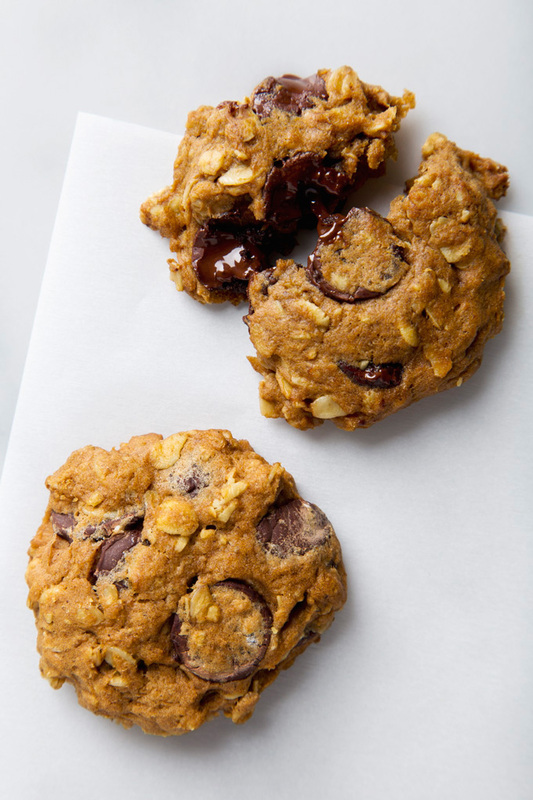 And these pumpkin oatmeal chocolate chip cookies are a stellar vehicle for this cult-status squash. But pumpkin in late August or early September? Too soon! Tomorrow is the first day of Fall, and while I’m still hanging onto summer for dear life and researching airbnbs in Santa Barbara, these cookies are too good not to share. They have rolled oats, pumpkin, whole grain spelt flour, cinnamon, nutmeg, and lots of semi-sweet chocolate chips. 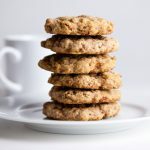 The result is a chewy oatmeal cookie that’s a tiny bit crispy around the edges and pillowy and soft in the center. I like the texture of these cookies best straight out of the fridge, although it’s hard to go wrong with them still warm out of the oven when the chocolate is perfectly melty. 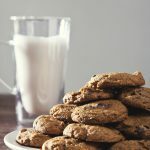 These pumpkin oatmeal cookies are vegan with a gluten-free option, 11 ingredients, and they take only 20 minutes to make. They’re also lightly sweetened with coconut sugar, so they make a (mostly) guilt-free afternoon snack in addition to a pretty wholesome after-dinner treat. I froze half of them thinking that would deter Aaron and me from eating them all within a few days, but surprise! We like them straight out of the freezer as well. 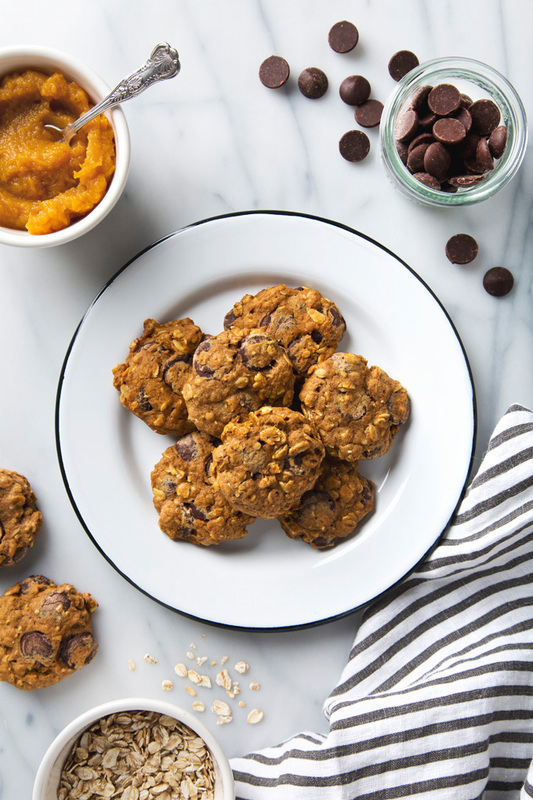 These vegan pumpkin cookies are a fun, seasonal twist on the more classic oatmeal chocolate chip cookie. They're crispy around the edges, soft in the center, and loaded to the brim with chocolate chips. Just 11 simple ingredients and 20 minutes to make! Using a stand or hand mixer, mix together the pumpkin, coconut sugar, melted coconut oil, and vanilla. Sift in the flour, cinnamon, nutmeg, baking soda, and salt. Add the rolled oats and mix until well-incorporated. Fold in the chocolate chips. Scoop the dough onto your cookie sheets, 2 inches apart, using a heaping tablespoon or a level cookie dough scoop. Lightly flatten the dough with a spatula. Bake for 10-12 minutes, or until the edges are golden brown. Allow the cookies to cool slightly. 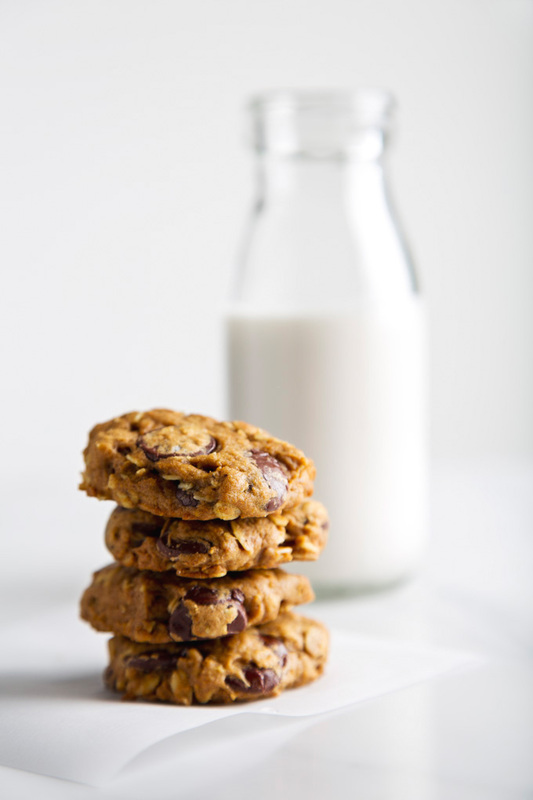 These cookies are also great straight out of the fridge or freezer for a firmer, extra chewy cookie. 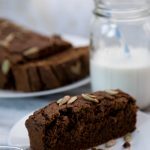 To make this recipe gluten-free, replace the spelt flour with your favorite gluten-free baking blend (I like this gluten free 1-to-1 baking flour from Bob's Red Mill) and make sure to use certified gluten-free rolled oats. Filed Under: Cookies & Bars, Pumpkin COPYRIGHT © 2019 Amanda Maguire. All Rights Reserved. 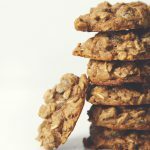 I never tire of pumpkin in baked goods, and oatmeal cookies are my favorite! Pinning these to make this weekend! Wow, What a great combination my favorite oatmeal, pumpkin and chocolate all combined into bites of deliciousness! I’m warming up my oven! Thanks for sharing such great recipes! I’m so in the in between too! I want it to be #summerforever, but I also kind of love these cozy recipes! breakfast cookies are my favorite too! your version with chocolate sounds delightful. Thanks, Dixya! I love a cookie (or three) at breakfast. These cookies look like they can take you to heaven! I’m sure gonna try making some! Thanks, Isadora! I hope you love the cookies! That’s so sweet, Hannah! I used to love to help my mom bake. 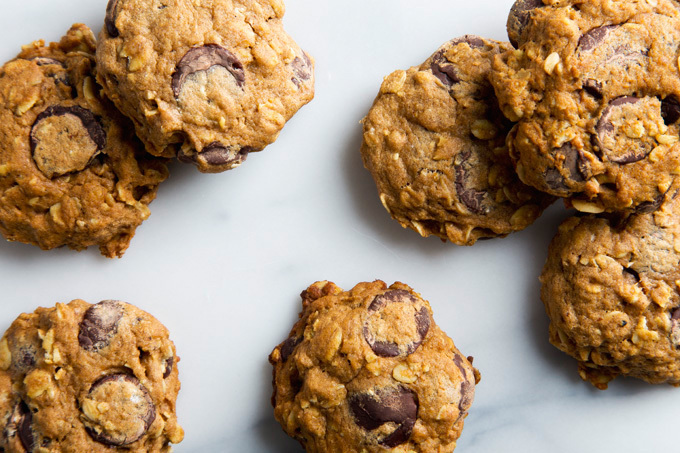 These cookies are definitely perfect for after-school. I just pulled these out of the oven a few minutes ago and had to come say how delicious these are! I used fresh cooked pumpkin instead of canned and I thought that might affect the texture because it can be more watery than canned pumpkin, but it worked perfectly. I used a small cookie scoop, but only got about 20 cookies out of the batter, so mine must have been larger than yours. I love that they’re not overly sweet, but the chocolate chips still make them feel like a treat! I will definitely make these again for family get togethers this fall! I’m so happy you like the cookies, Lauren! I bet they’re awesome with fresh cooked pumpkin!